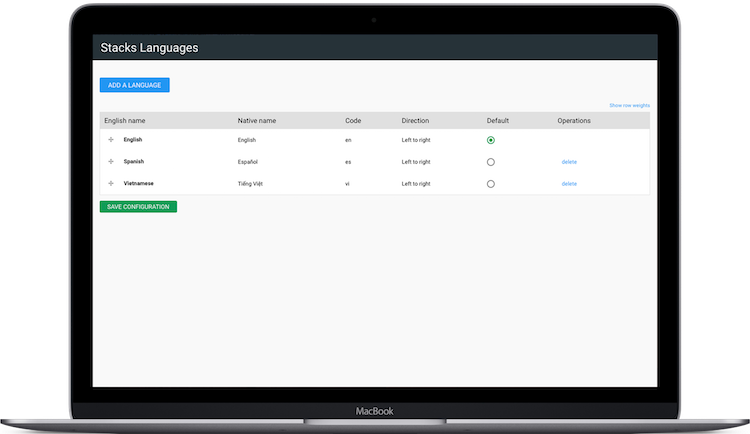 Create content in multiple languages with Stacks Multi-Language. Present users with the same (translated) page when they switch languages. Create content in English, create a mirror version in another language, and let users toggle back and forth. 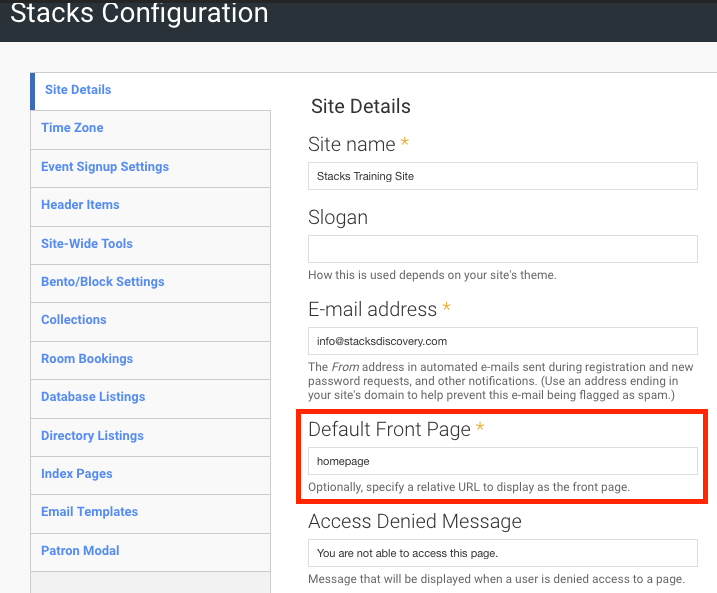 The default language of a Stacks site is English. 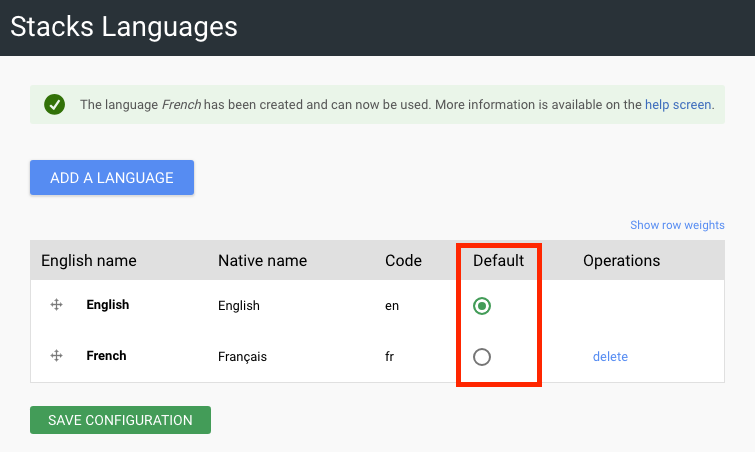 To create content in other languages, you must first add support for those languages to your system. Note: Once a language has content associated with it, it can not be deleted until the content has been removed. To translate content, you must first indicate the language that is in current use. When editing content that has more than one translation, you can add an indication to other versions when one has been updated. Once you have several languages enabled on your site, you can choose any piece of content on your site and translate it into another language. Note: You can enable a dynamic toggle between language versions on Pages and Landing Pages. 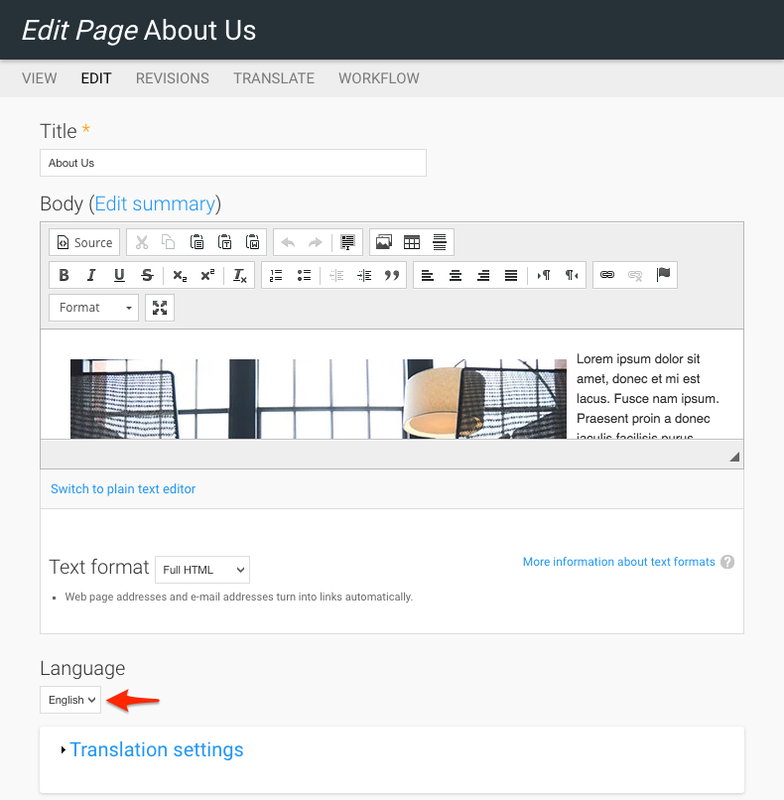 For more detailed instructions on how to translate content, see the 'Translate Content' tab. To create a new Landing Page to use as your front page, you must first create content elements to add to your Landing Page in your chosen language. For Example, you must create Callouts, Sliders, News Articles and more in your chosen language. Open the 'Site Labels' tile and translate labels into your preferred language. See detailed instructions on how to use 'Site Labels"
Open the 'Footer' tile and translate content into your preferred language. If you are using Stacks Signature Tools that make use of Filter Vocabularies (Collections, Events, Databases, Directory Listings, Room Bookings, Reserves, Research Guides, News Articles, and Index Pages), you will need to translate the terms used for each Tool. Choose the tab for the Signature Tool you need from the menu down the right-hand side of the screen. You will see a list of content that contains terms. Click on 'List Terms' to edit or delete existing terms. Create your own content in the language configured.